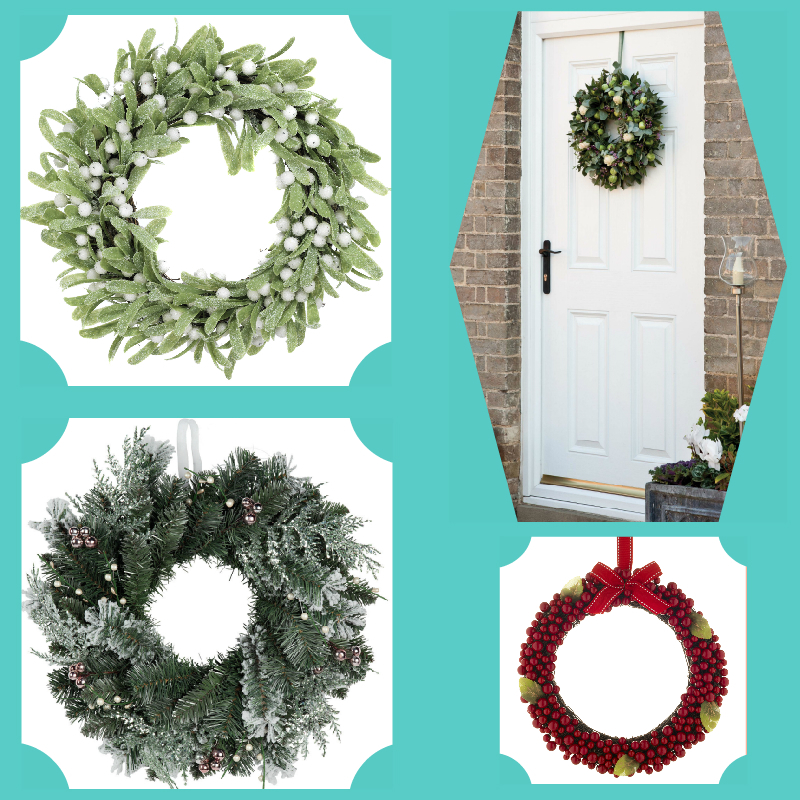 Home - Festive front doors – a seasonal welcome! Festive front doors – a seasonal welcome! With the festive trimmings and tree going up inside your home, don’t forget to include your front door in the decorative plans! One of the first things your visitors (plus neighbours and the postman!) will see when approaching your home is your front door – don’t you think it should be festive too?! If so, the easiest and most classic way to deck the door is with a simple and beautiful wreath, and there are so many to choose from on the High street and online. But beware, before you purchase a new wreath; if you want it to make an annual appearance on the front door and your door has no shelter or porch etc, make sure it is one that can stand up to the wonderful British winter weather! 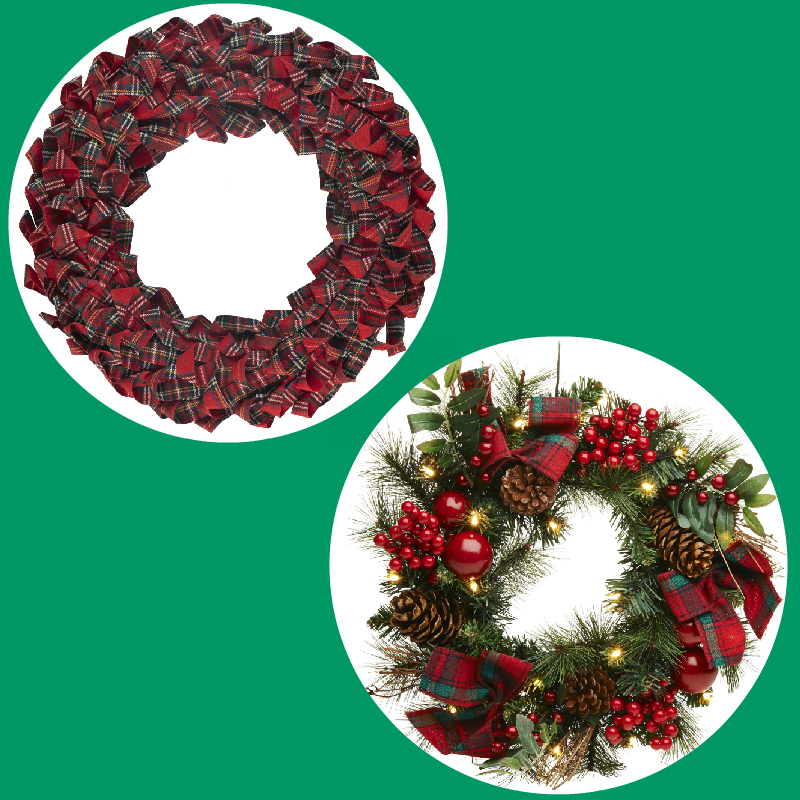 The top two wreaths are from House of Fraser, whilst the bottom image is from Sainsbury’s. 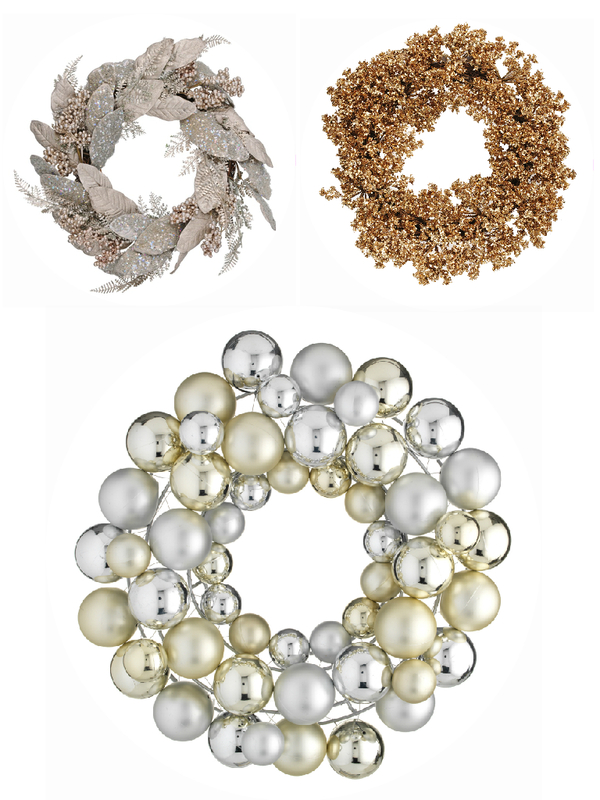 You can find the top left wreath in Paperchase and the bottom right wreath in Wilkinsons. The top wreath is from House of Fraser, the bottom left is from M and Co and the bottom right is from Paperchase. These beautiful wreaths are made with natural fruit, vegetables and plants. 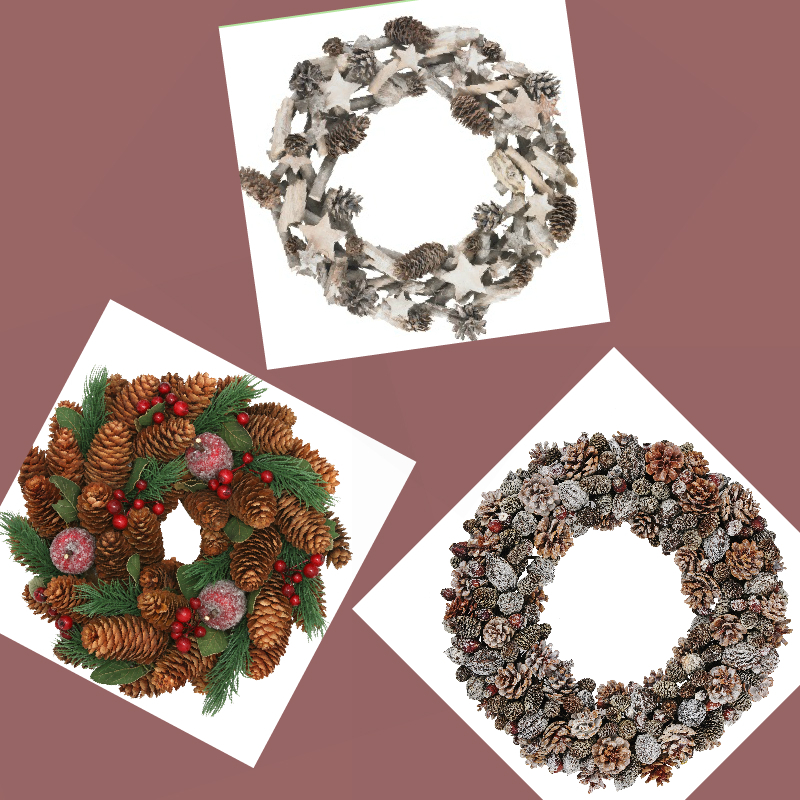 You can get the top left and bottom right wreath from Sainsbury’s and the bottom left from Marks and Spencer. The top right picture is an Anglian door with a home made wreath.